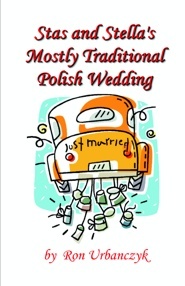 All the songs for your "Oczepiny" or Unveiling Ceremony - Mother Beloved, Rosnie Trawka (The Unveiling Song), Spadla z Wisni, Pani Mloda (Bridal Dance) plus the songs from the musical Stas and Stella's Mostly Traditional Polish Wedding are all here. You can also purchase the songs you want or the entire CD, your choice digitally off the internet. Read about this Polish custom and the antic's of Stella as she gets married to Stas. You can download an e-copy of the book or order a hard copy by clicking on the book icon below.